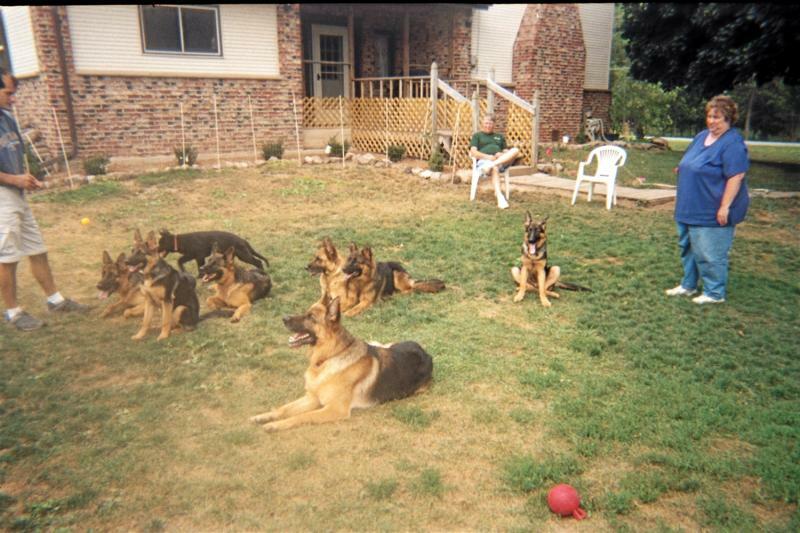 Elite German Shepherd Breeder in Western NewYork. Welcome to Steinholtz German Shepherd dogs. You are looking at one of the greatest breeds known to man. 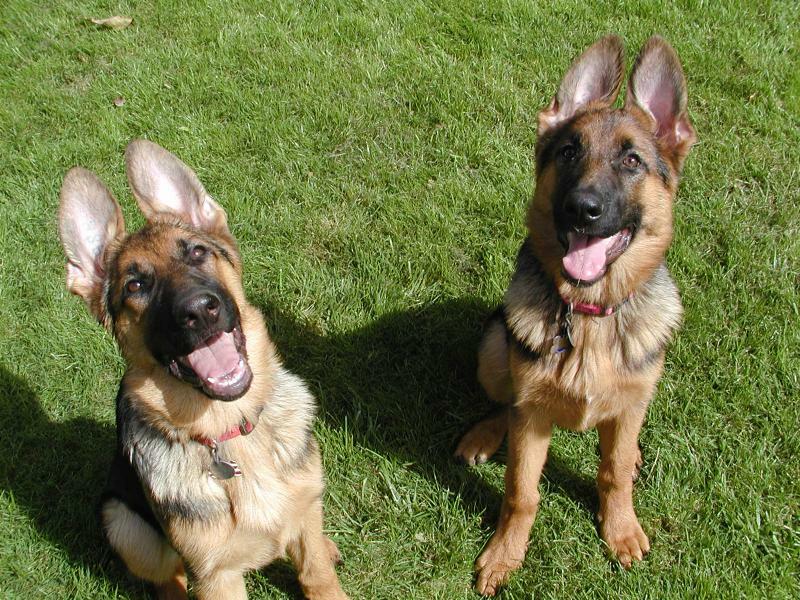 German Shepherds are loyal, intellegent, athletic and naturally protective. 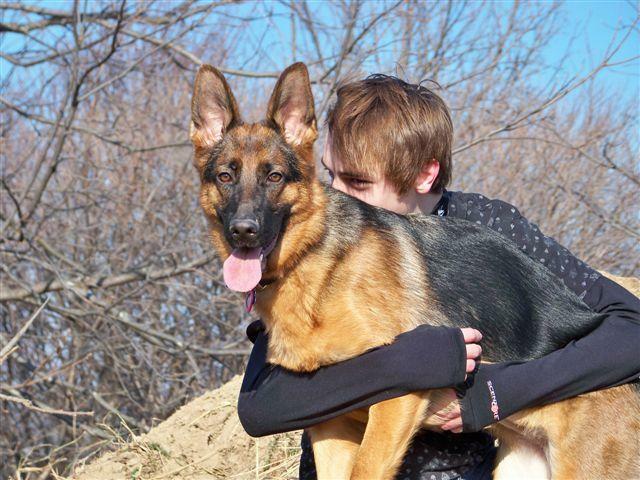 This is the best all around working or companion dog. The total package!!! We are a small hobby kennel located in western New York dedicated to preserving and improving this awesome breed for which it was designed. 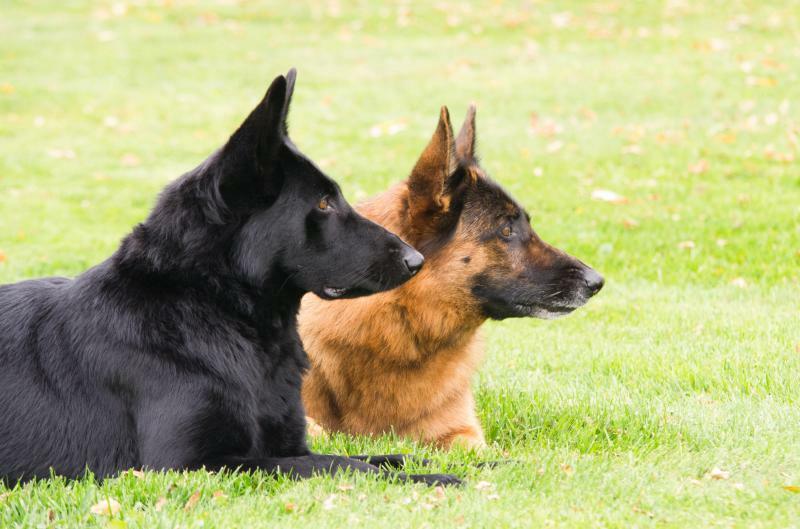 We are combining the top West German show lines from top VA and V rated dogs to produce outstanding dogs here in the U.S. Our top priority in breeding is focused on calm steady temperments, conformation, intelligence, and working ability. If you don't start with the best, you are not going to get the best! 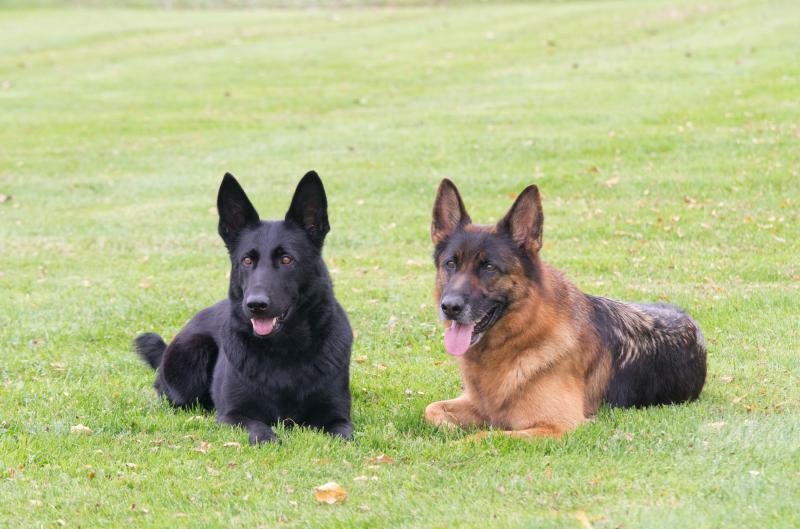 We participate in the sport of schutzhund and feel this gives a realistic view on the working ability and stable nature of our dogs. 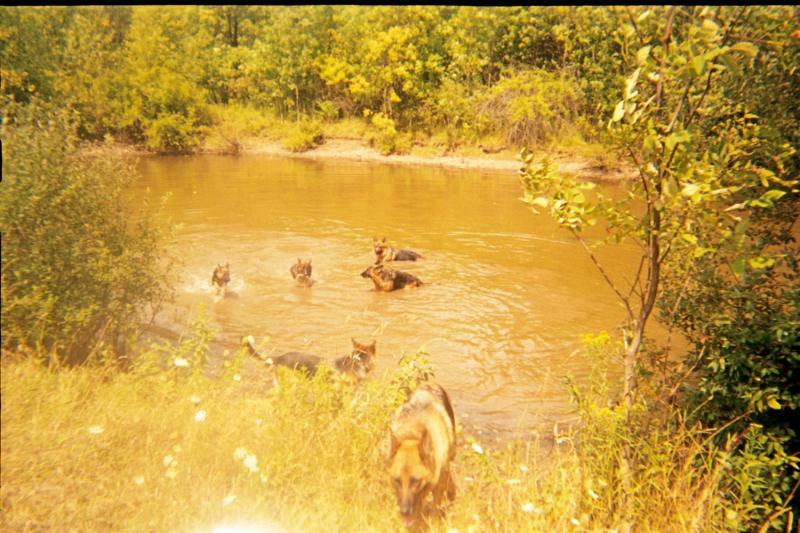 I am a member of the Schutzhund Club of Buffalo and United Schutzhund Clubs of America (USA). Our puppies are placed based on their individual temperments and perspective owners experience and goals. Observations begin on day 1 and continue through 7 weeks at the puppy aptitude test (PAT) and thereafter. Socialization by traveling to new places begins at 6 weeks and continues as long as the pup is with us. Our pups go to their new homes stable, happy and very confident in every situation. Our stock is either OFA or PennHip certified for hips and elbows, DNA clear for Degenerative Myleopathy, and also DNA typed. All our dogs are fully vaccinated, on heartworm and flea prevention and free of genetic problems. Pups come with a Veterinary health certificate, vaccines, deworming, tattoo, microchipped and started on heartworm prevention. We have a written guarantee and offer the options of limited or full AKC registraion. Prices are $2,000 for a companion dog with limited registration (spay/neuter) OR for full registration $3500. Full registration is for people who would like to show/work/or breed their puppy. This is given only to select persons after a through interview to determine your goals etc. Kip now trained for pulling a cart! 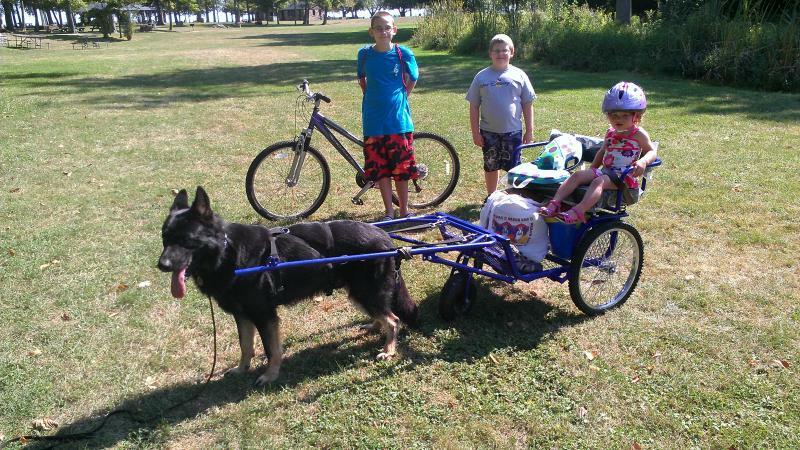 Picture below at Hamlin beach state park during one of our camping ttrips. Dog family in the yard summer 2007. Some dog friends are visiting from out of Town. Here they are in the pond. Some are visiting with the cow behind us. With the help of close "dog" friends we had very successful float in the Lyndonville 4th of July parade 2008. We had a total of 15 dogs in the parade. They all were beauftiful and behaved perfectly! 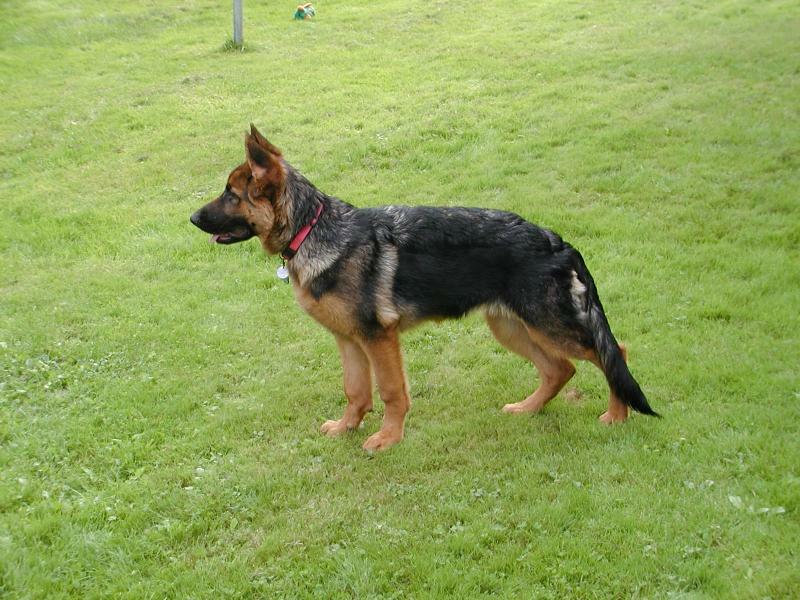 Copyright 2010 Vom Steinholtz German Shepherds. All rights reserved.